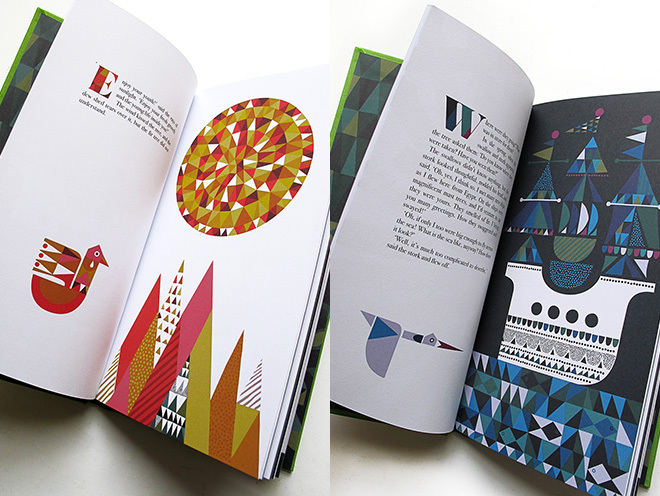 … triangle birds and triangle boats. 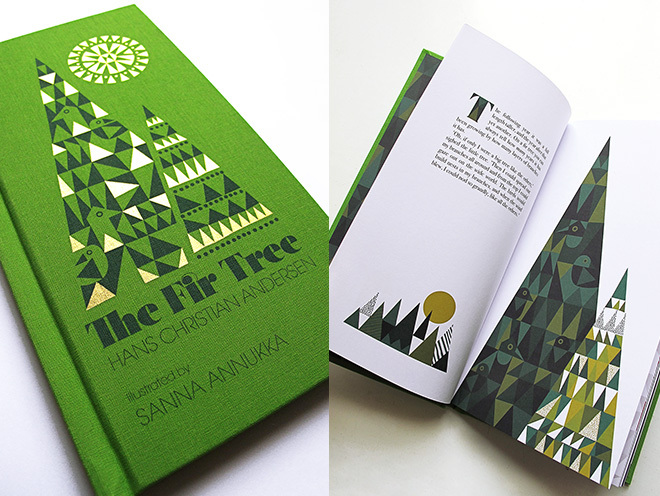 This is ‘The Fir Tree’ which is a traditional Danish Christmas story by Hans Christian Andersen. 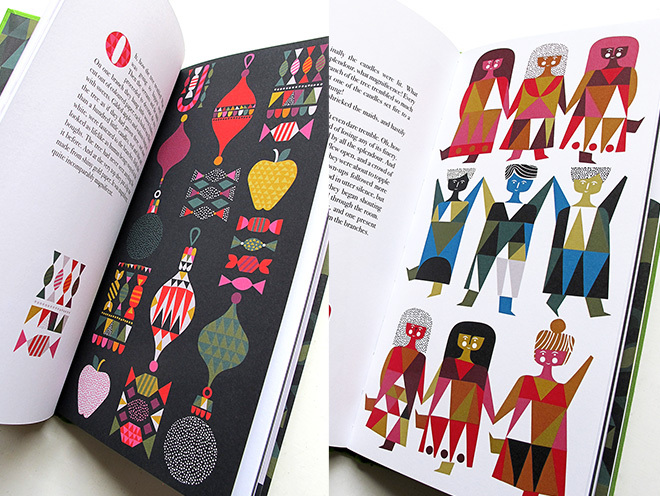 This particular edition was tri-tastically illustrated by Sanna Annukka (half Finnish/half English). During her childhood, she spent many summers in Finland of which the memories now influence her work – the forests, lakes and wildlife. 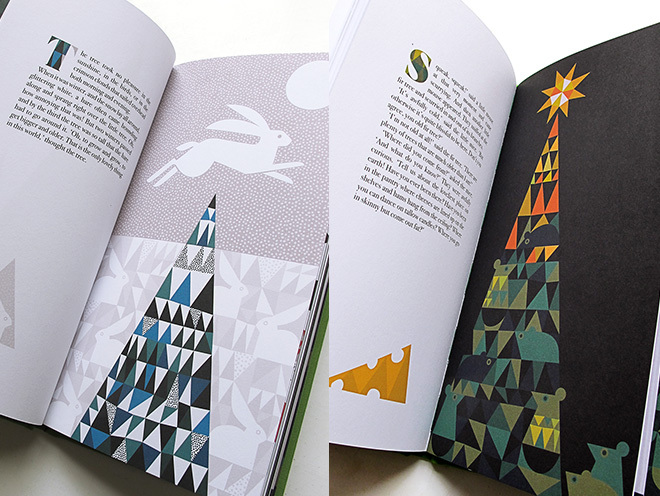 She has beautifully combined triangles, patterns and amazing colour palettes – it’s a winner for me! It was only released last Friday so get it while it’s hot – available to buy here. You may recognise her illustration style from a pretty successful album cover; Keane’s ‘Under the Iron Sea’ which sold millions of copies but sadly it features no triangles! Notebooks. 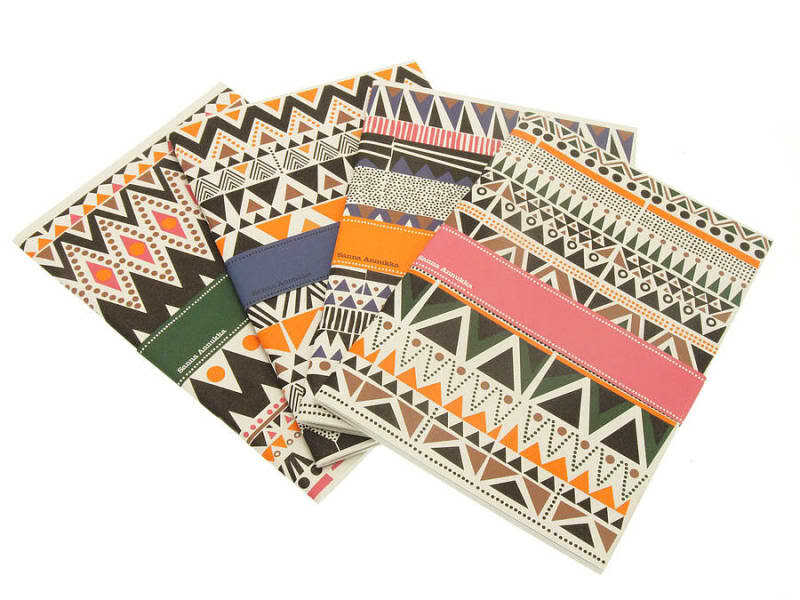 You can never have enough triangular covered notebooks, right? 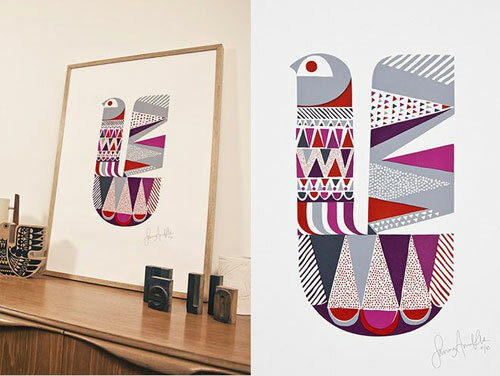 I love the mixture of shapes and lines to create the different birds. I can’t think of anyone else who can use circles and triangles and lines and dots all in one drawing and make it look this good. I think Sanna has got an amazing eye for colour. 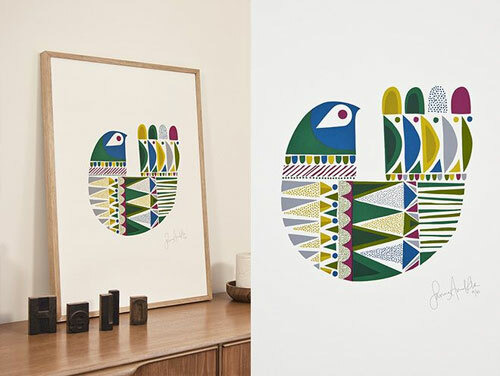 Each print features around 3 or 4 different colours but she uses shades and tones. Check out Sanna’s website for more brilliant illustration. Have you bought anything triangular this Christmas? I’d love to see it, so get in touch (read more here). 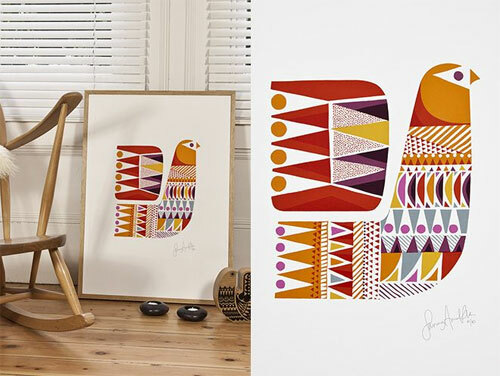 These are gorgeous and I love how simple shapes can be used so effectively to make beautiful art !